Decouverte : Andrea WILLIAMS – pebbles ! je suis poursuivie par les galets !!! « Kebyar growth » necklace – I spend many hours on the beach collecting stones for my jewelry. I created this piece as a reflection of the flowing seaweed in the surf. I use lapidary, cold fusion, and fabrication techniques to inlay found beach stones with reclaimed / recycled Sterling Silver and lab grown Peridot. 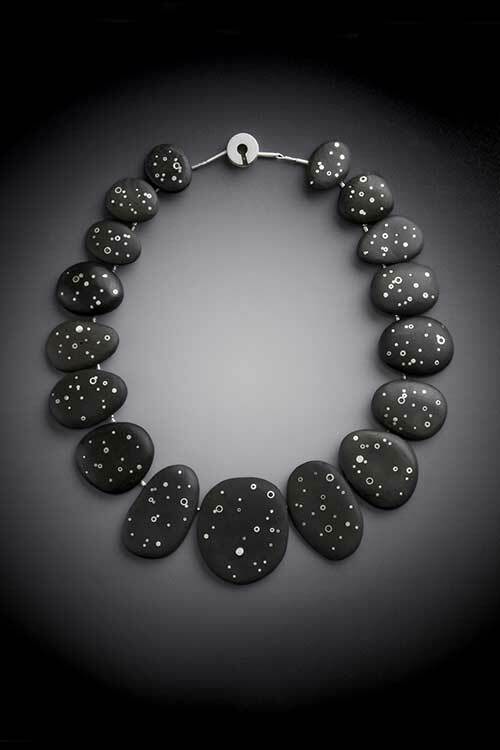 « Starry night » necklace – The inspiration for this piece was born out of my earliest memories of the night sky. I collected the stones on a beach close to my childhood home in Maine. I inlaid reclaimed Sterling and lab grown white sapphires (no mining) into the stones, then fabricated and riveted links on the back of each. 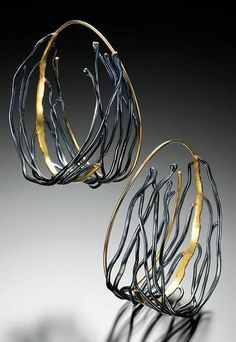 This neclace was nominated for a 2010 Niche Award. The neclace is shown with matching stud earrings. 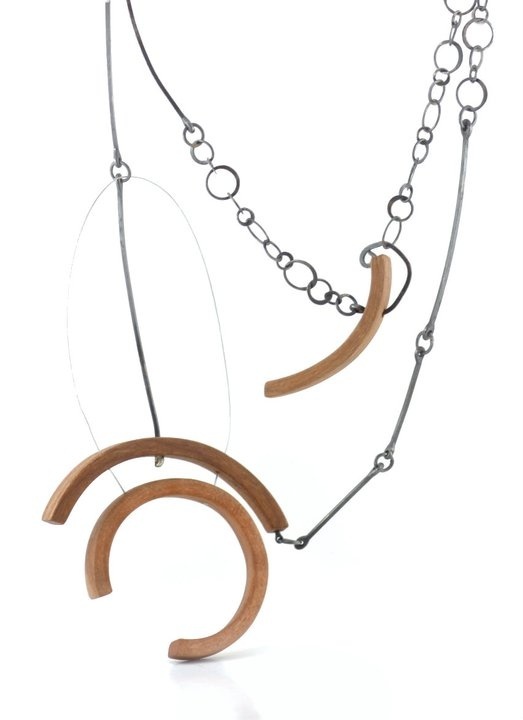 « Kebyar night » necklace – This necklace is a finalist for a 2011 Saul Bell Design Award. This necklace finds its inspiration in moonlight shining on the open field. The beachstones are carved and inlaid with reclaimed sterling silver. I then fabricate and rivet links onto the back of each stone.